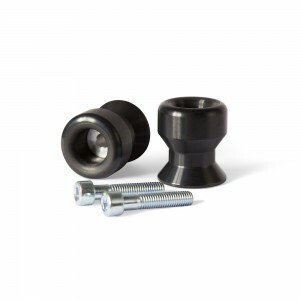 Super bright amber turn signal LED Lights. 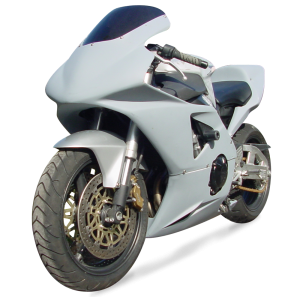 Shaped for speed and built for the race track, this top-quality constructed undertail has endured hours of R&D to create the best-looking, highest-performing, machine-made design around! 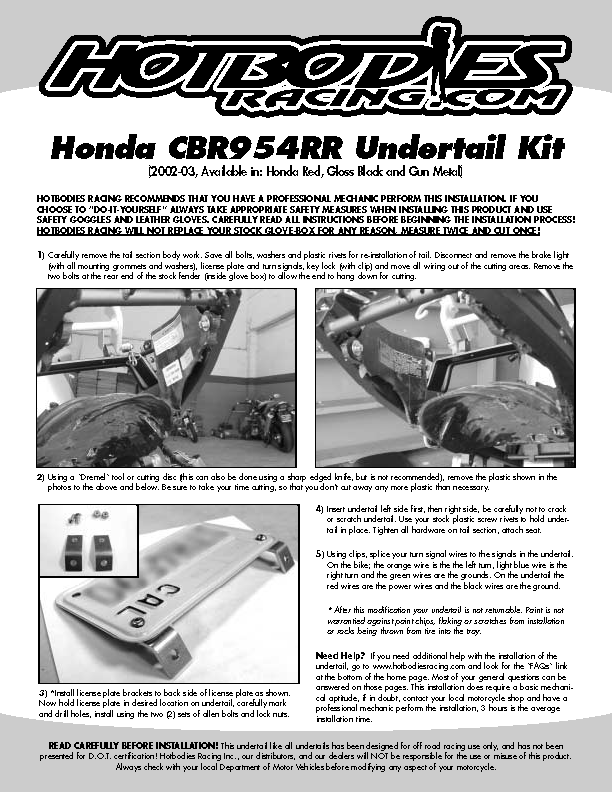 The CBR954RR SBK Undertail gives your bike a modern but aggressive WSBK look and requires little to no modifications, and best of all, it’s painless to install. 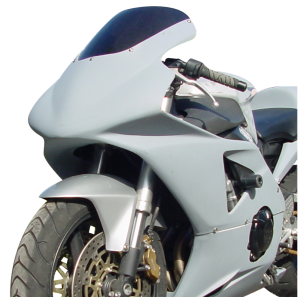 The SBK Undertail is produced in 1/8 ABS plastic, similar to original factory fairings, with each being shaped, CNC trimmed and finally hand-finished for a total quality fit. 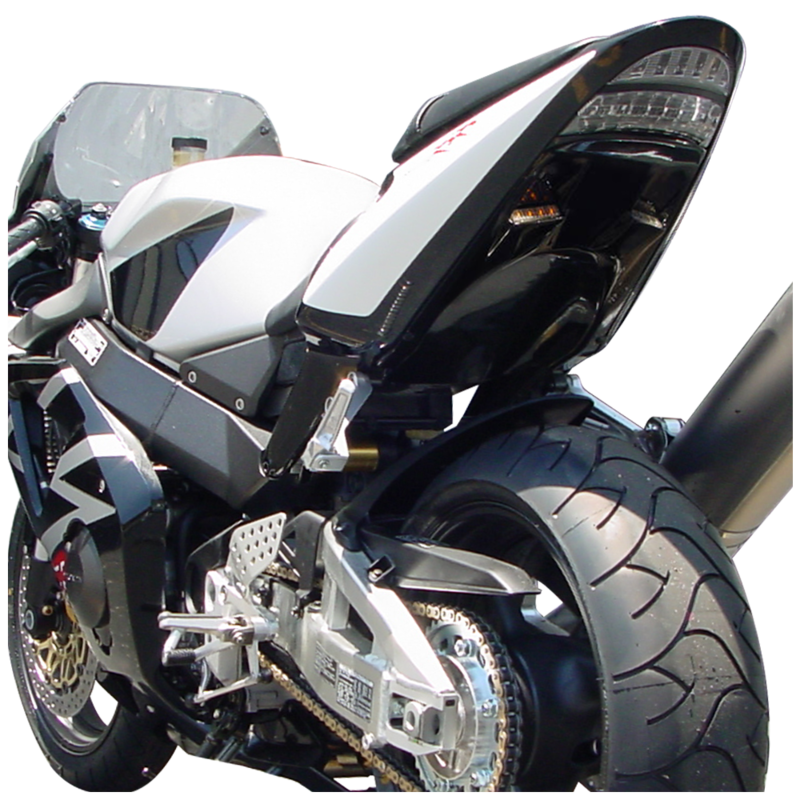 Our undertails are professionally coated with automotive-class paints that match perfectly to factory codes – then ultimately fitted with Hotbodies’ newest and brightest LED blinkers and license plate light, to keep it legal on the streets.